If anyone knows anything burgers, it's the legendary Burgerac. 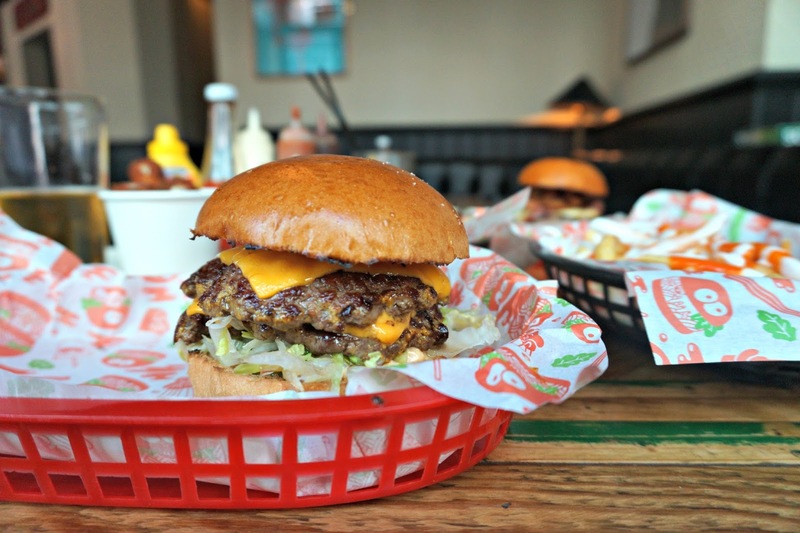 He's the go-to-guy when it comes to hunting down the best patties in London. 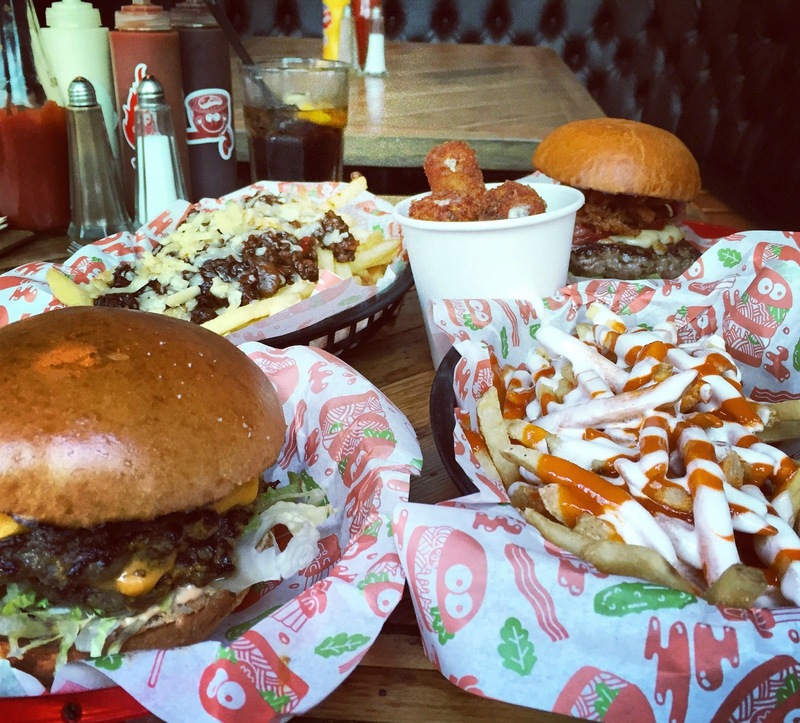 And having eaten at most of the burger joints in our Capital's fair city, he knows a thing or two about what goes into making the perfect burger so he's used all these tasty findings to create something EPIC. 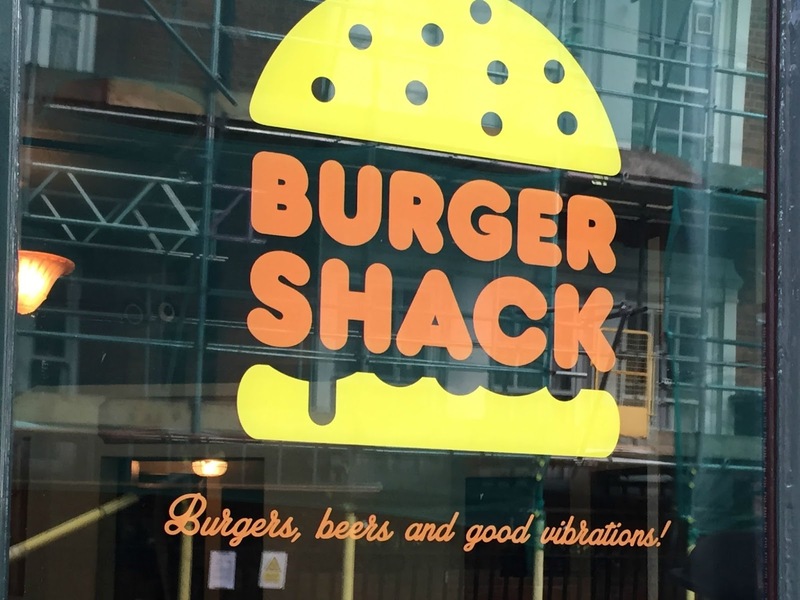 Teaming up for a joint venture with The Royal Oak pub in Marylebone, Burgerac brings you the BurgerShack. One of the very few perks of living on the Met line (as in living close to a met-line station, not on the actual train) is that Marylebone is v.easy for me to get to. I'm used to schlepping East for my Burger pilgrimages so having somewhere on the door-step is a feat to rejoice. 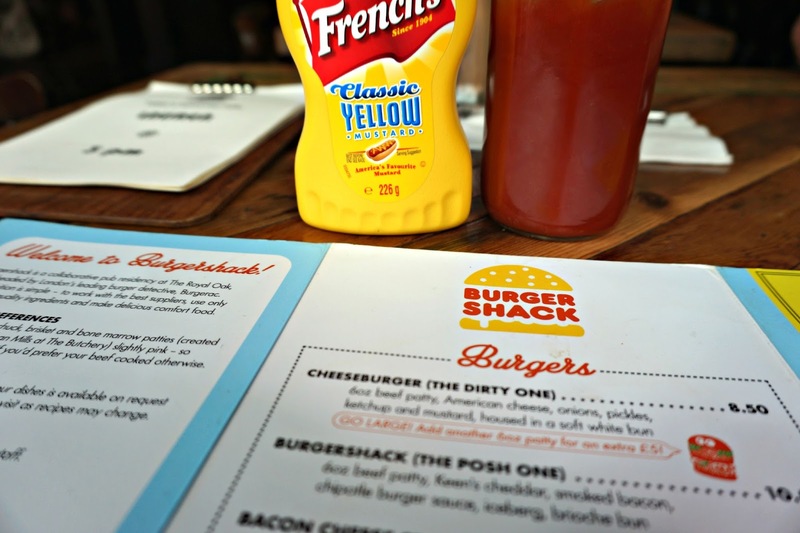 Burgerac has certainly done his research when putting the menu for BurgerShack together. 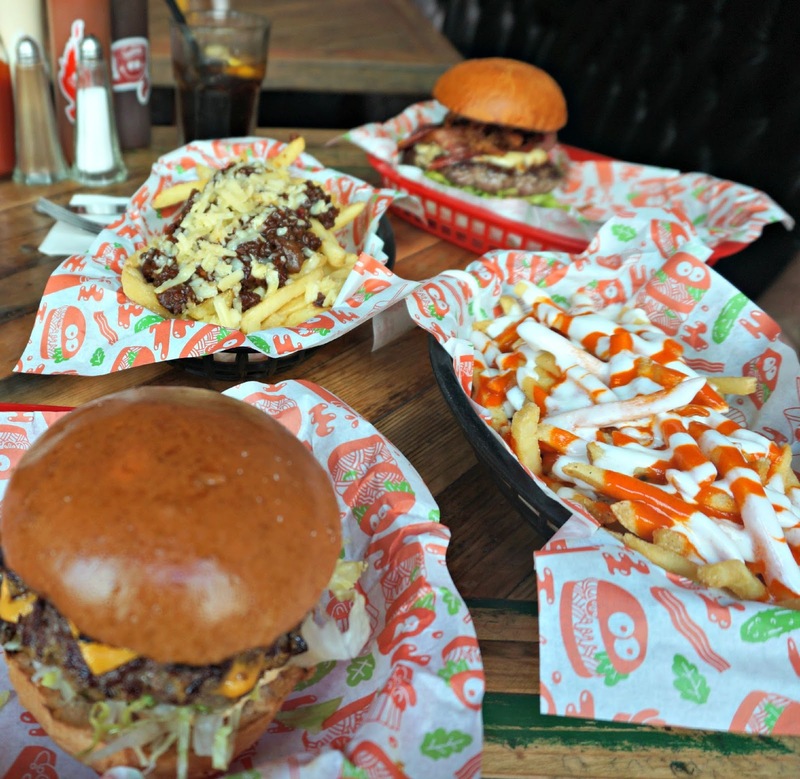 You can choose between six mouth-watering burgers, three Big Apple hot dogs and a selection of sides and fries topped with ingredients straight from my dreams. Burger-wise for me was the Hubba Hubba. Which I believe is named after the sound you make upon it's arrival. Two 3oz mustard fried beef patties with American cheese, pickles, chipotle burger sauce and iceberg lettuce in a soft white bun (£9.50). 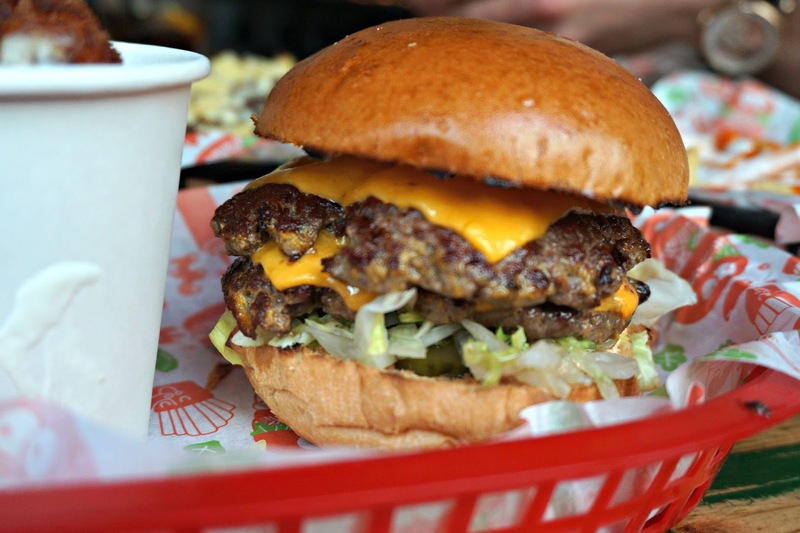 A very solid, clasic cheeseburger. Tom isn't about classic. He's all about the specials. 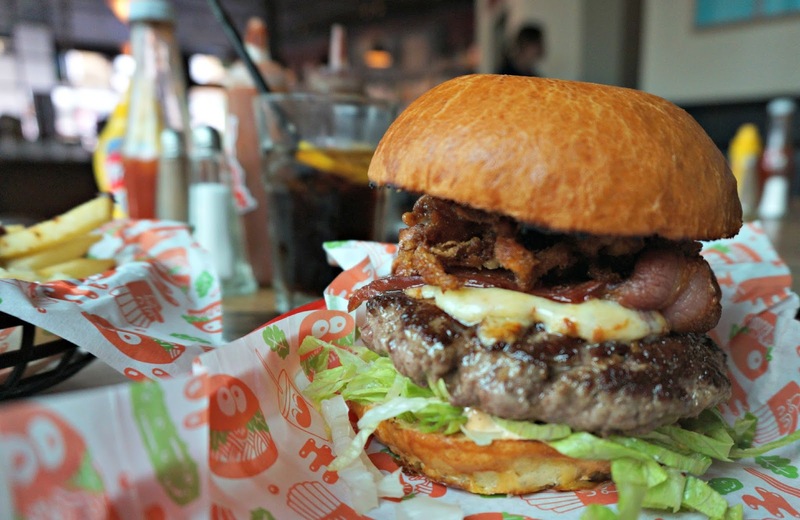 So he tried the weekly special - a smokey-sweet BBQ version of the 'Posh One' with bacon, fried onions and the works. It was frickin' amazing. Like one-of-the-top-5-burgers-I've-tried-in-London amazing. and he only let me have one bite. It's a shame it's only a week-long special but i'm hoping if it's popular they'll bring it back! Fries for me is where things got interesting. I kid you not. For years I've longed for somewhere to serve me Hot 'n' Blue Fries. 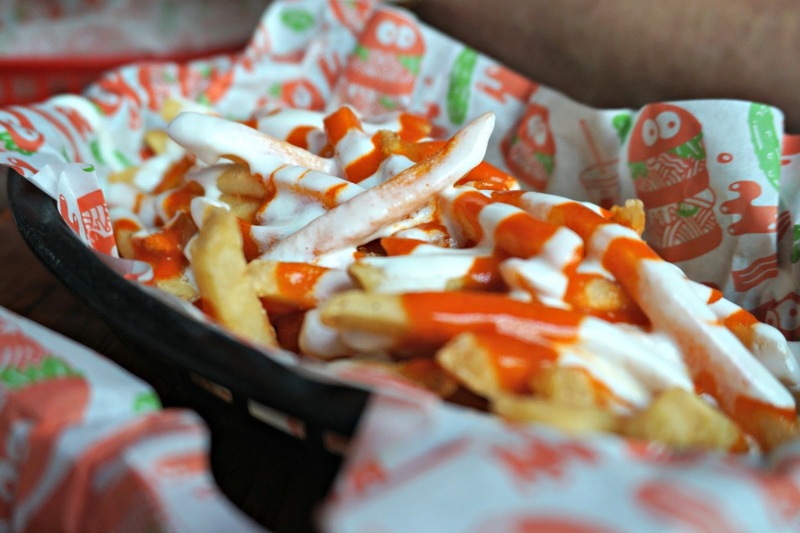 It's like BurgerShack saw into my mind and knew that I longed for salty fries slathered in Buffalo hot sauce and blue cheese and put them on the menu especially. Seriously why do more places not do these? I basically ate the whole XL sharing portion (£4) to myself. And I'm not even sorry about it. Our waitress had recommended we go for the chilli cheese fries (£6.50) as they're the favourite so in the interest of fairness we also ordered a portion of those too - yes we are greedy, please don't judge. 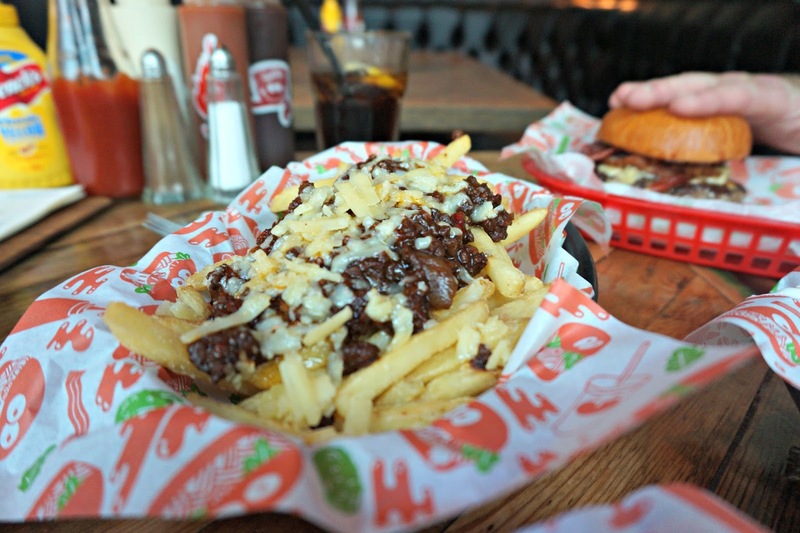 Rich chunks of slow braised beef chilli and melted cheddar cheese. A little too rich for my taste but Tom loved them. They had a depth of flavour which you know can only be achieved through a long cooking process - a real labour of love. 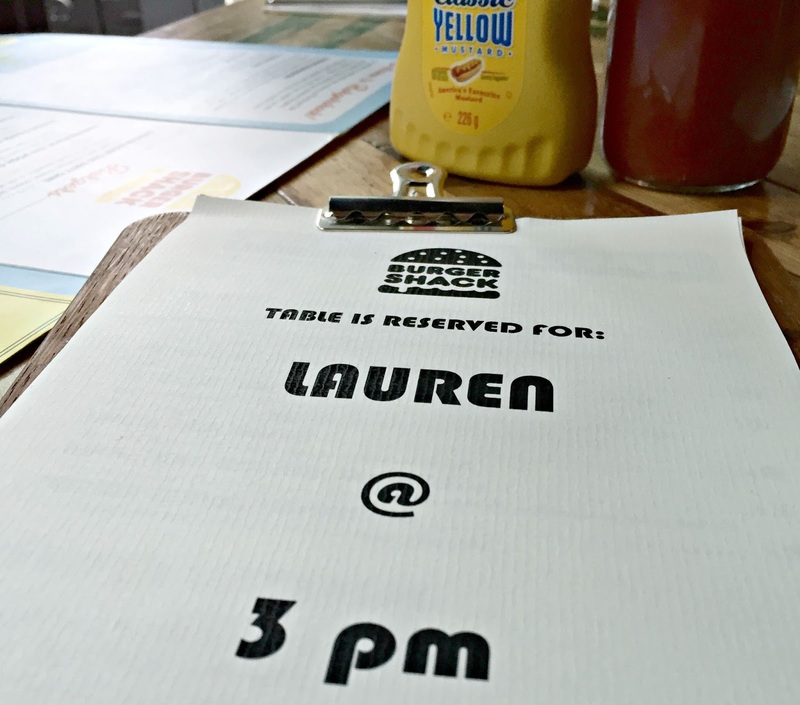 The table was set for our very own delicious burger feast. Oh and you see those little fried beauties in the pot? Those are deep fried cheesy jalapenos poppers (£3.50). Tasting a lot like deep fried cheese sauce, they're like little molten bites of ricottey-goodness. The ratio of jalapeno to cheese was a bit low - but dunked into the house hot sauce, they packed a tasty bite. 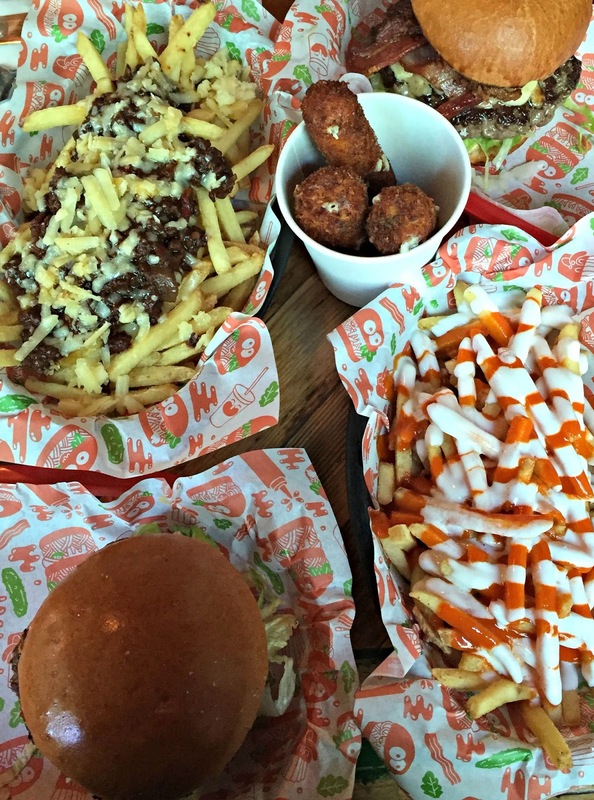 Hopefully the photos alone have convinced you to try BurgerShack. If they can't convince, maybe the prospect of being in a proper boozer, being served any drink of your choice from the fully stocked bar will? Or the fact they show the Rugby on the TV while you eat? Or being able to play a game of scrabble or one of the board-game down the back will. And if none of those appeal, I don't think anything will appeal my friend.